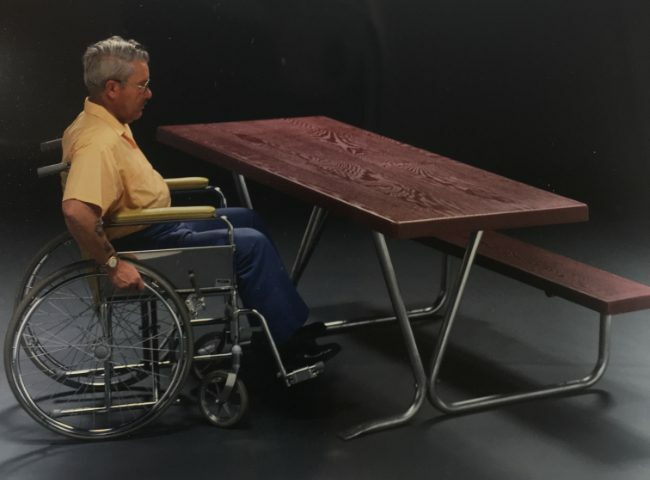 Our 8′ ADA woodgrain table allows 4 people on one bench and 2 wheelchairs to be placed side by side. Our engineered legs raise the table top to specified wheelchair access height. Enjoy the beauty of wood without the problems of dry-rot and insect infestation. Our simulated wood tables and benches are made of sturdy, sanitary, easy to clean fiberglass.